A high energy mineral supplement, rich in iron, in a sweet tasting sorbitol base. Provides general all-year-round support but is especially helpful to birds recovering from red mite infestation, for support during moulting and for birds feeling generally under the weather. 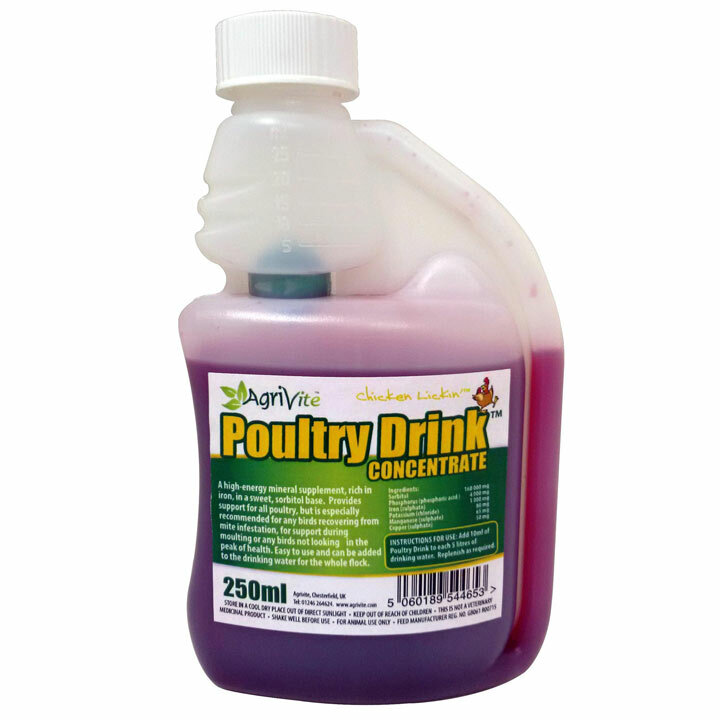 Easy to use and can be added to the drinking water for the whole flock.